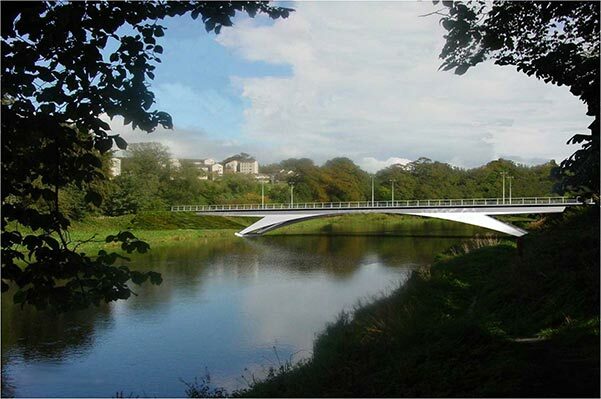 Work has commenced on the £14.3M Third Don Crossing in Aberdeen. Designed to relieve congestion on the two existing river crossings, the 90m span bridge will be constructed using twin open box steel girders supporting a reinforced concrete deck. Balfour Beatty, appointed by Aberdeen City Council, is responsible for the construction of the crossing over the River Don, a smaller bridge across a stream and 2.5km of road, including a stretch of new carriageway linking to the road network north of the river, and the realignment and upgrade of roads to the south. The new bridge is expected to be open to the public by late 2015.